The WiMAX Forum is an industry-led, not-for-profit organization that certifies and promotes the compatibility and interoperability of broadband wireless products based upon IEEE Standard 802.16. The WiMAX Forum’s primary goal is to accelerate the adoption, deployment and expansion of Aeronautical Mobile Airport Communications System (AeroMACS), WiGRID and WiMAX technologies across the globe while facilitating roaming agreements, sharing best practices within our membership and certifying products. WiMAX Forum Certified® products are interoperable and support broadband fixed, nomadic, portable, and mobile services. The WiMAX Forum works closely with service providers and regulators to ensure that WiMAX Forum Certified systems meet customer and government requirements. For more information, visit www.wimaxforum.org. Indotelko provides authoritative and independent news, context and analysis in a timely manner in order to give solutions for key decision makers across all sectors of Indonesia telecom industry. We give our readers the latest information regarding technology, business, and regulatory developments within the Indonesian telecoms community. Our goal is to be the most trusted editorial source for all Telecommunications and IT Enterprise executives across Indonesia. Indotelko is supported by unique and talented human resources, powerful networking, and strong analysis. Asosiasi Logistik Indonesia (ALI) was established in the last quarter of 2002. ALI is a non-profit organization for the Supply Chain & Logistics in Indonesia. As an organization, ALI has put a vision and mission in bringing a conducive atmosphere for Indonesian logistics industries to grow and can contribute in developing excellences in human resources in the field of the Supply Chain & Logistics management for the country. Ulink Media is a leading media on Internet of Things industry, which is dedicated to build a comprehensive online and offline platform for IoT companies in China to promote their products and solutions, to connect the whole industrial chain from upstream to downstream, help to international IoT companies and buyers to better understand the IoT market in China. IoT ONE is the most trusted source for structured information about the Industrial Internet (Industry 4.0). 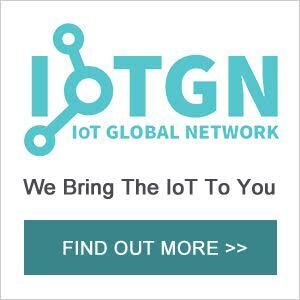 The platform provides users with transparent and comprehensive information about IoT vendors, solutions and technologies that help companies develop and execute their Industrial Internet strategies. 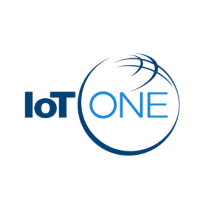 IoTONE also curates offline conferences, delegations and research reports on the vendor and technology landscape. Control Engineering Asia is proud to be leading information source – in print and increasingly online – that readers in the dynamic markets of Asia look to in order to stay track of and tuned into the rapid developments in the business and technology of industrial automation. Taking a comprehensive approach, Control Engineering Asia’s coverage spans both factory and process automation and encompasses technologies throughout the plant hierarchy, including industrial software, networks, control systems, instruments, drives, motors and much more. ACCA is the apex industry association representing the stakeholders of the cloud computing ecosystem in Asia-Pacific. The ACCA’s mission is to accelerate adoption of cloud computing in Asia by helping create a trusted and compelling market environment and a safe and consistent regulatory environment for cloud computing products and services. The association works to ensure that the interests of the cloud computing community are effectively represented in the public policy debate. This is done through expert working groups where best practice recommendations and other thought leading outputs are produced. Membership is open to large corporations to small-medium enterprises. Plug and Play is the innovation platform where we connect the best technology startups and world's largest corporations. Our vision is to make innovation open to anyone, anywhere. With 26 locations across the world, Plug and Play has accelerated over 2,000 startups across the globe with success stories including PayPal, Dropbox, and Lending Club. Landed in Indonesia on November 2016, GK - Plug and Play Indonesia is the only startup ecosystem builder that has been endorsed by President Joko Widodo. Since then, GK - Plug and Play Indonesia has been actively investing in startups and connecting them with corporates through two batches of their 3-month program per year. Lux Research provides strategic advice and ongoing intelligence for emerging technologies. Leaders in business, finance and government rely on us to help them make informed strategic decisions. Through our unique research approach focused on primary research and our extensive global network, we deliver insight, connections and competitive advantage to our clients. TruckMagz.com is an online media for trucking community in Indonesia. The latest information from trucking industry can be found here. TruckMagz.com is a forum for the sole agent, spare parts and accessories company, transporters, and trucking service users to share their news. Young age doesn’t mean can’t deliver high quality news and meet the expectation of its readers andTruckMagz has proof it. On January 2015, TruckMagz winsThe Best of News, Political, and Business Local Magazine The 6th Indonesia Print Media Award 2015 which held bySerikat Perusahaan Pers Indonesia. The reason for the existence of MyDearDrone.com was to reduce the complexity, confusion, and overload of information on UAV, Drone, Unmanned and Quadcopter by creating a unique website which is designed and structured purposefully to help the users to understand and study the drone in a practical way. All of this information, news, reviews, guides, and videos are 100% free to access, read and collaborate, The main reason behind it offers free knowledge of drone throughout the Internet. We believe that Drones are one of the most significant innovations of this century and it has touched many peoples lives through entertainment, careers and ultimately saving human lives. With My Dear Drone discover how it can be part of your life to improve your life and ultimately improve the world. So come and experience the World of UAV with us. SourceSecurity.com is the world's leading security industry publication, with an audience of over 180,000 visits monthly. SourceSecurity.com US Edition is specifically dedicated to the US and Americas security market. In addition to its unique and unrivalled comparative database of security products comprising over 18,000 products, including dome cameras, digital video recorders,CCTV camera lenses, intercom systems and electronic lock systems, content includes security news, latest applications, and a directory of security companies and security events. The site also features in-depth coverage of products and applications in vertical markets such as banking & finance, education and industrial & commercial security. Dedicated areas for network IP security and biometric security recognize the emergence and growth of these technologies, while experts from the industry contribute their valuable insights on business and technology trends. With its depth and breadth of content, SourceSecurity.com is the definitive resource for the security industry. Bangkok Entrepreneurs Co Ltd is an Event Management Company based in Bangkok. Our mission is to help SMEs and Startups doing business, connect like-minded professionals and facilitate business partnerships. We organize several networking events and Tech conferences in Bangkok, including Bangkok Entrepreneurs (a monthly business networking event), Startup Grind Bangkok (a monthly networking event for the Tech industry), Thailand Startup Summit, Thailand eCommerce Summit and Startup Mobile Summit.